OnePlus has opened its India launch event gates for the OnePlus community members. The fans will now be able to witness the event in New Delhi by buying entry tickets. 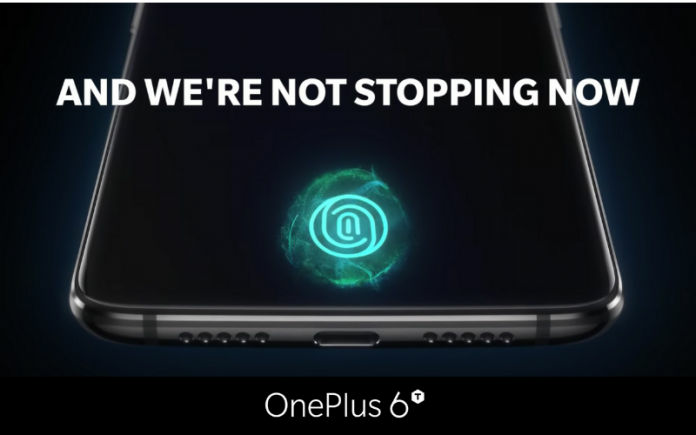 OnePlus is all set to bring out the much-talked-about OnePlus 6T smartphone on October 30, 2018. Although the launch is almost two weeks away, the company is not leaving any stone unturned to create additional buzz around the upcoming phone. To keep the OnePlus fans engaged in the phone, the OEM has announced that OnePlus community members in India can now be a part of the launch event at New Delhi, which will happen simultaneously with the global launch event in New York. Check out the details for participation in the event below. The OnePlus 6T launch event in India will happen at KDJW Stadium (inside Indira Gandhi Sports Complex) in New Delhi. OnePlus community members will be able to take part in the event by buying the launch invites at INR 999 on OnePlus.in. The sale of these tickets will begin today at 10 AM. If you’re a true blue OnePlus community member and want to witness the launch event of its latest flagship, then you should go ahead and buy those tickets. The invite page has already gone live on OnePlus India website. It reads,”Join our largest fan gathering ever! Witness the unveiling of the OnePlus 6T at KDJW Stadium (inside Indira Gandhi Stadium Complex) in New Delhi on October 30. Get your launch invitation on 10AM IST 17th October.” Although the page does not reveal how many tickets will be up for sale, the official press release from the brand states that they will be in limited quantity. Well, this is a one of a kind marketing initiative by OnePlus. The company is allowing the OnePlus community members to take part in the event by paying for the entry pass. The saving grace here is that the company will be compensating them by offering goodies with every ticket. OnePlus community members will be receiving a gift hamper with OnePlus accessories like OnePlus Bullets Wireless, a OnePlus Pin Set and a OnePlus Sketch Book. They will also get a gift voucher worth INR 999 that will be redeemable on OnePlus.in. Additionally, the launch event will also enable the OnePlus community members to experience the OnePlus 6T at the experience zones. They will be among the firsts to experience the handset simultaneously with the global launch. Moroever, the OnePlus 6T is already up for pre-ordering on Amazon.in. For the ones, who have their hearts set on this upcoming flagship, they can book it on Amazon by paying INR 1,000. The OnePlus 6T is an upgrade over the OnePlus 6. 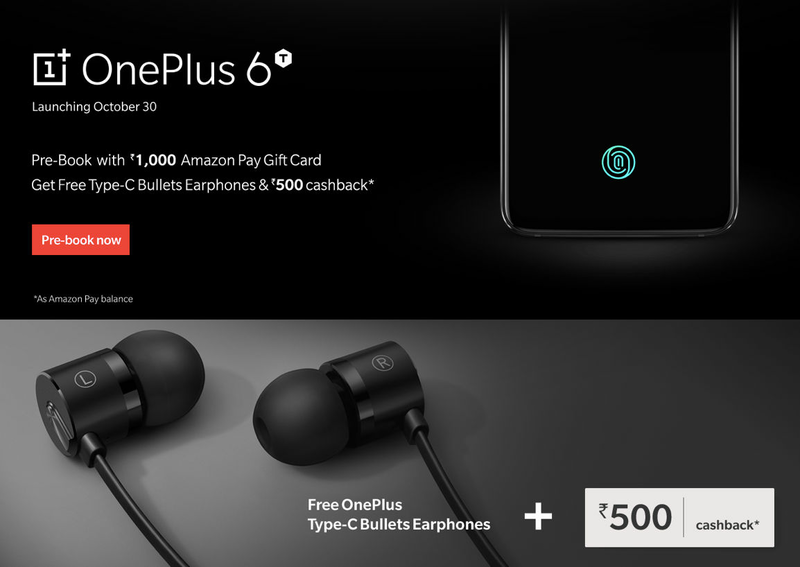 Buyers who pre-book the phone on Amazon, will also be get OnePlus Type-C Bullets Earphone and INR 500 cashback in the form of Amazon Pay balance. One of the biggest changes that it brings over its predecessor is that it will come with an In-display fingerprint scanner instead of a physical one. Besides, it’s worth noting that the phone will not feature a 3.5mm audio jack. Of course, the company will be providing a USB Type-C to 3.5mm audio adapter to make up for the lack of it. Design-wise, we will get a teardrop notch on the phone. What are your thoughts on OnePlus selling event tickets to community members? Do you think it is a good step by the company? Share your thoughts with us in the comments section below. In the meantime, while OnePlus is prepping to bring out the OnePlus 6T, you can check out our video review for the OnePlus 6. Also, subscribe to our YouTube channel and never miss new videos that we upload.